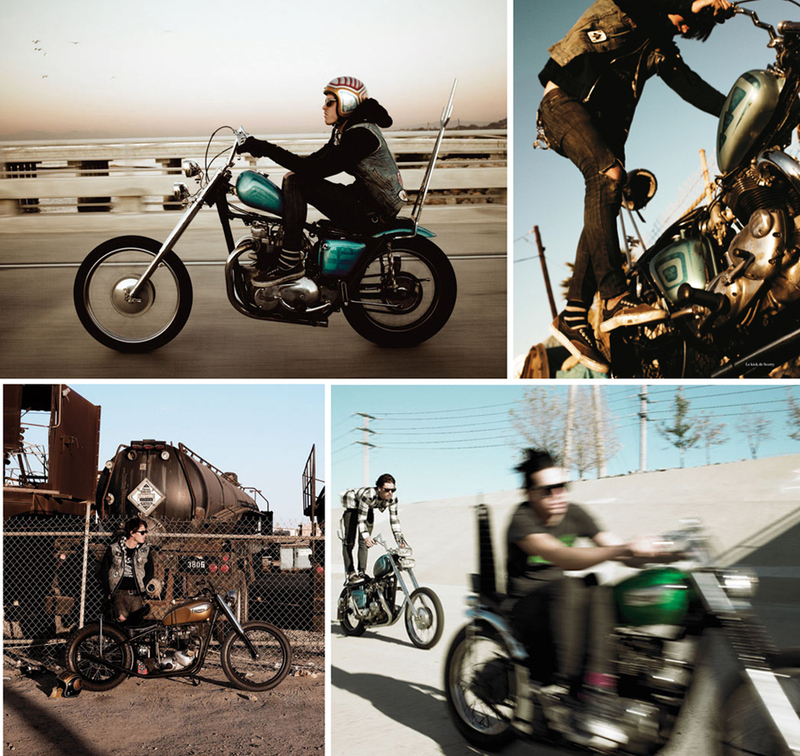 These beautiful photos were shot by Kristian Ranker for a story in French magazine Citizen K. The story is titled ‘Life on the PCH’. PCH stands for Pacific Coast Highway in Los Angeles. The article takes a look at the biker culture who ride their customs along this famous stretch of road. If you want to see more shots in this great series check out Means Ranker (There’s also a pretty cool video on there as well).